2019 and Beyond: How To Avoid Getting Off Track In Your Career | Horizon Technology Partners, Inc. It is predicted and expected that in 2019 and beyond that there will be digital transformation and rapid changes in the tech industry. 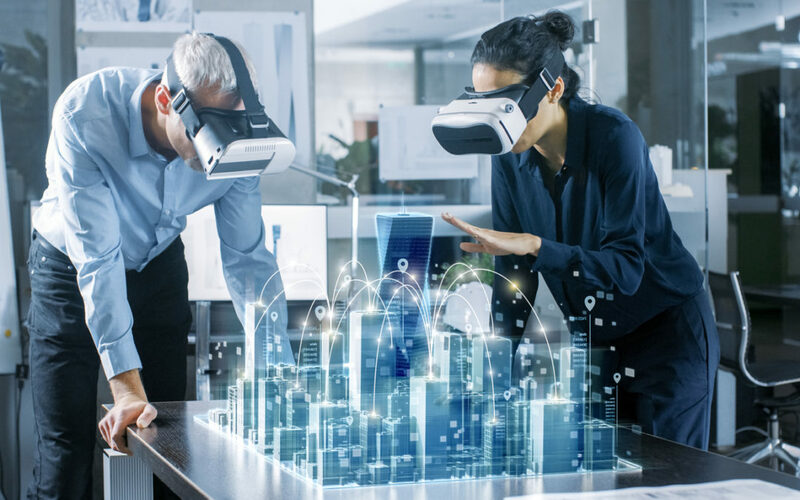 “Innovation Accelerators” such as the Internet of Things (IoT), Artificial Intelligence (AI), and Augmented or Virtual Reality (AR/VR) are just some of the technologies that businesses and companies are preparing for to keep up with the digital transformation. Let’s take a look at the Top 10 Worldwide IT Industry Predictions as reported by the International Data Corporation (IDC). 1. By 2022, over 60% of global GDP will be digitized with growth in every industry driven by digitally-enhanced offerings, operations, and relationships. 2. By 2023, 75% of all IT spending will be on 3rd Platform technologies, as over 90% of all enterprises build “digital native” IT environments to thrive in the digital economy. 3. By 2022, over 40% of organizations’ cloud deployments will include edge computing, and 25% of endpoint devices and systems will execute AI algorithms. 4. By 2022, 90% of all apps will feature microservices architectures that improve the ability to design, debug, update, and leverage third-party code; 35% of all production apps will be cloud-native. 5. By 2024, a new class of professional developers producing code without custom scripting will expand the developer population by 30%, accelerating digital transformation. 6. From 2018 to 2023, with new tools/platforms, more developers, agile methods, and lots of code reuse, 500 million new logical apps will be created, equal to the number built over the past 40 years. 7. By 2022, 25% of public cloud computing will be based on non-x86 processors (including quantum); by 2022, organizations will spend more on vertical SaaS apps than horizontal apps. 8. By 2024, AI-enabled user interfaces and process automation will replace one-third of today’s screen-based apps. By 2022, 30% of enterprises will use conversational speech tech for customer engagement. 9. By 2022, 50% of servers will encrypt data at rest and in motion; over 50% of security alerts will be handled by AI-powered automation, and 150 million people will have blockchain-based digital identities. 10. By 2022, the top four cloud “mega platforms” will host 80% of IaaS/PaaS deployments, by 2024, 90% of G1000 organizations will mitigate lock-in through multi- and hybrid cloud technologies and tools. If the answer is yes, then it’s time to do something about it before you lose your career. Changes in technology and business approaches can leave you behind and get you off track, especially if you are unable to keep up with the developments and have failed to improve your skills. You will watch your colleagues take better positions, enjoy better pay, and accomplish high-profile assignments. First of all, choose a job that you have passion and fits you. Focus on the correct metrics and continuously improve your skills. Grab the opportunities to use the new technologies and platforms available. Never settle on what you already know, but learn new techniques and processes so you’ll grow with the company. Show your value at work and deliver successful projects so they’ll know why you deserve a promotion or a raise. Improve your leadership capability by mentoring junior people. You may be surprised how it can change your career path for the better in the future. Help the organization find more efficient processes and solutions to make it run smarter and more efficiently. Challenge yourself to become a better version every day. Ask for feedback from manager or supervisors on how you are doing so you can do better. While job satisfaction can be an essential part of staying in a company, in the world of innovation, learning new things and reinventing yourself can be the best cure to avoid getting off track in your career. Be inspired and empowered in 2019 and beyond! Let’s stay positive and connected in 2019! To learn more about finding the right candidate for your open positions, give us a call at 847-202-3242 or email us at connect2htp@htpartners.com. For a “No-Pressure” conversation with John Sule, schedule a call.